How to make a Vehicle Log Book in Excel? 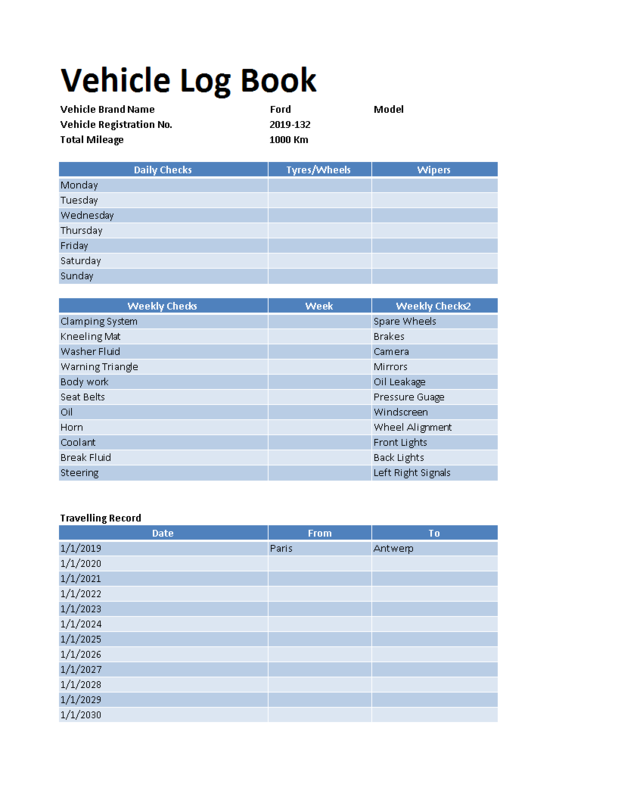 An easy way to create your spreadsheet is by downloading this example Vehicle Log Book Excel spreadsheet template now! A Vehicle log books is a track record and proofs the ownership usage of a Vehicle, which is to ensure a nationwide record is kept of every vehicle and its registered keeper. A vehicle logbook must be filled in by both the seller and the buyer every time that vehicle changes hands. You will see that finishing such a Vehicle Log Book Excel spreadsheet has never been easier!